For those who find themselves increasingly distraught and frightened about the survival of American democracy in the age of Trump and rogue legislative bodies like the North Carolina General Assembly, here’s an event worth checking out. 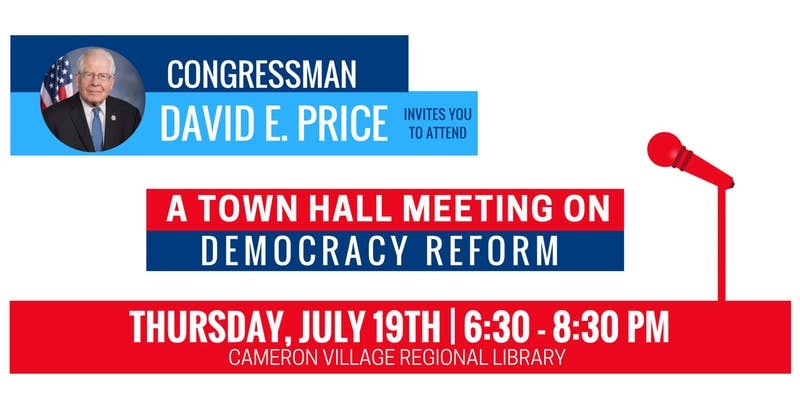 On July 19 — two weeks from today — there will be a “democracy reform town hall meeting” in Raleigh hosted by an array of progressive organizations and leaders at the Cameron Village Regional Library. “From extreme partisan gerrymandering and attacks on voting rights to foreign interference in our elections and rampant corruption in Washington, American democracy is at a crossroads. A lack of accountability and transparency has left many Americans disillusioned about their government and wondering what they can do to restore trust and integrity to the democratic process. Click here for more info and the RSVP.